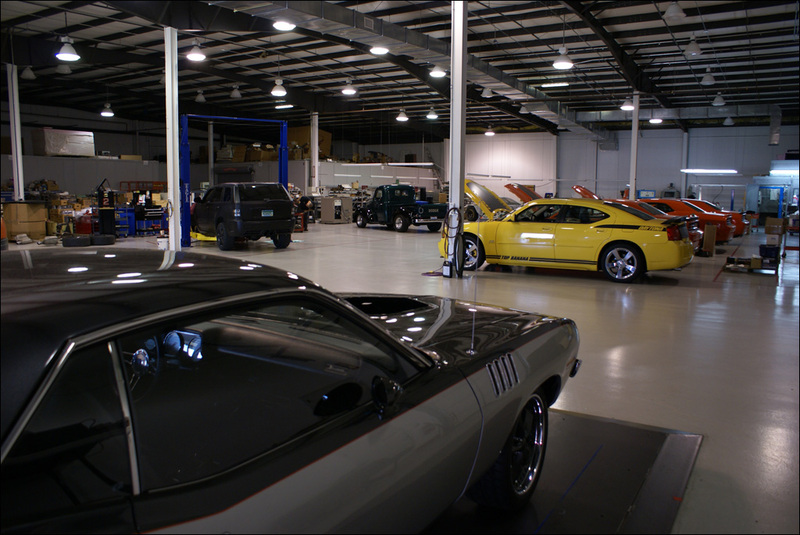 When a HEMI engine or a 2014 Dodge Challenger arrives in our shop, it gets the royal treatment. 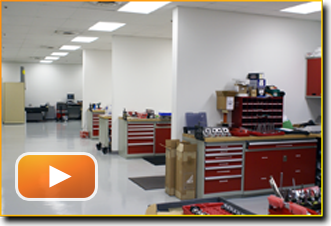 Below is a virtual tour through our NASCAR tier performance shop. Find out why the quality and performance of our products are unmatched in the HEMI market. 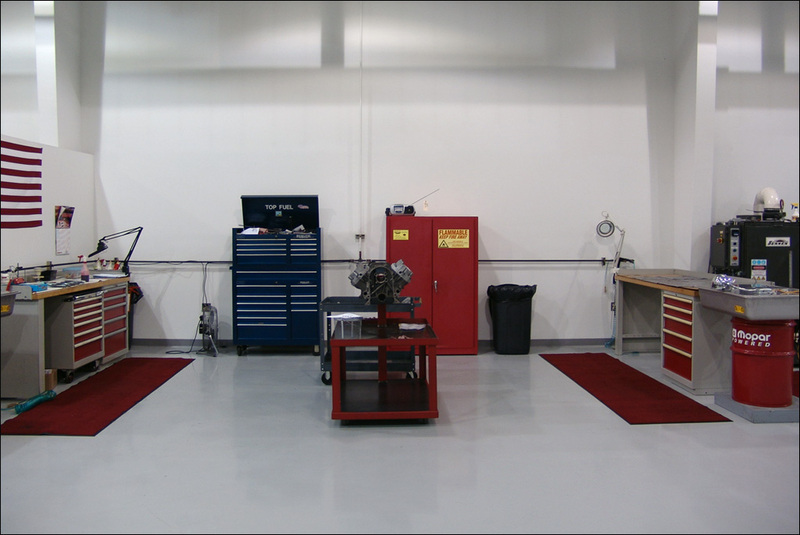 Our climate controlled shop is waiting for your HEMI. 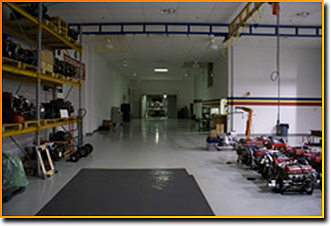 Your car will be locked in our installation facility and kept comfortable and safe away from the elements and prying fingers until your build is complete. 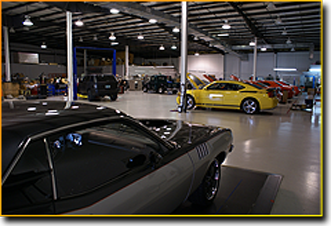 Trust your car to our hands and let us transform it to a modern muscle car fit for the street or the strip. Click on the image to the right to watch our ad featured on Spike TV. Look too clean? We like it that way. After your HEMI engine is pulled from your vehicle, it is moved to the disassembly bay for teardown and initial inspection. The Hemi undergoes its initial inspection for damage to pistons, heads, crank journals, etc. This evaluation helps us determine the quality of a core and it provides feedback to our engineers allowing us to improve quality and durability guaranteeing the best HEMI performance parts. 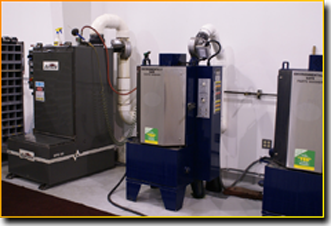 Environmentally friendly parts washers clean all engine parts from block to bolts. Removing the oil and buildup from the cylinder walls and cooling passages in your engine allows us to do final testing on cleaner than new parts before they are approved for a rebuild. Final inspections such as magnaflux testing, sonic checking, and verification of critical measurements such as deck height, bore, cylinder wall thickness, and more are completed to the tenths of a thousandth of an inch. 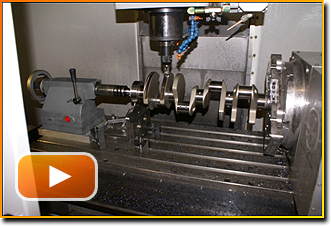 To properly assess the core quality and set up the CNC machines allows us to provide precise cubic inch displacements, volumetric efficiency and calculate precise swept volume. 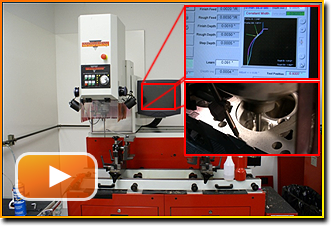 It is critical that these measurements meet minimum tolerances before and after the block and cylinder heads are machined. 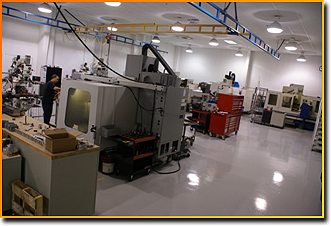 We isolate this area of the building to decrease the chances of fine particulates produced during the rough processes from contaminating our engine assembly areas. Hand de-burring and grinding decreases the sharp edges and begins the smoothing process of imperfections in engine block surfaces. If not smoothed these could develop into cracks under the prolonged strains of high horsepower and torque. Stroker motor clearancing is done by hand. A small amount of material is removed from the block (clearanced) to make room for the rod bearing cap bolt. 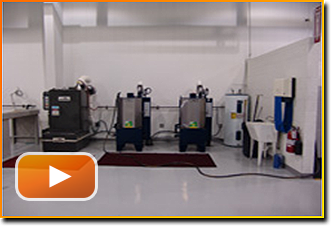 Our proprietary oil system preparation does more than remove stray material from the casting process, it improves oil flow. Our NASCAR class technicians polish the oil journals and galleys. There is only one way to build an Arrington engine, the Arrington way. Arrington and precision are synonymous. Cylindricity, concentricity and angularity are essential to high horsepower engine manufacturing. If your cylinders are out of round or the centerline alignment is off, when force is applied to the piston through combustion or boost the results are not optimal. This CNC procedure ensures alignment of cylinders relative to the mainline, and aligns cylinder bore centers with companion cylinders. Production blocks are production blocks, built to a range of standards that are acceptable in daily driver use. Arrington applies NASCAR level precision and technology to produce an optimized engine block suitable for use in performance applications. The misalignment of the mainline relative to the bore and the perpendicularity of the bore centerline relative to the deck are corrected to ensure all surfaces are parallel and perpendicular to the mainline. These processes reduce friction, reduce premature wear and translate directly to production of increased reliable horse power and torque. 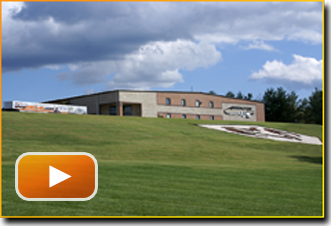 For over thirty years Arrington has been refining the engine manufacturing process for champions. 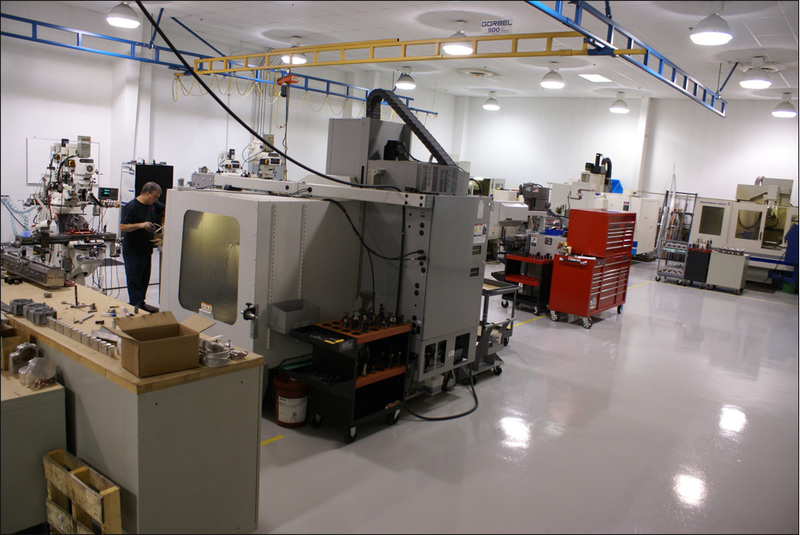 We manufacture your Arrington engine with the same technology, care and staff as our NASCAR championship engines. Different engines require different cylinder finishes. Forced Induction engines require an aggressive finish to insure cylinder sealing. Normally Aspirated engines are honed to a medium finish. NASCAR Sprint Cup engines are honed to a diamond mirror finish. Arrington selects the proper finish based on your intended use. Every cylinder has to be finished properly to perform at its peak, without creating frictional loss. Different roughness and RA scales are used for precise cylinder finishes to ensure quality sealing and combustion. When we are asked how many angles our valve job is we say none. Our Newen Epoc CNC valve job is a single point operation. The angles and steps are so small that they are reduced to a near true radius. From there the heads are taken to a 5 axis CNC mill where ports specifically designed to produce maximum air velocity from intake and exhaust ports are machined. Finally these heads are taken to assembly where strengthened springs, keepers, and retainers are installed in the casting. Why accept the industry standard stock hardware, 3 point valve job, and a fluff and buff port when looking for maximum performance? 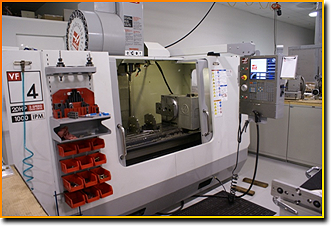 Available for a custom job for hire or to assist our techs with a modification needed for proper installation of your hemi engine, our complete machine shop is ready to work. You name it; we can do it down to the smallest of details or the roughest of cuts. 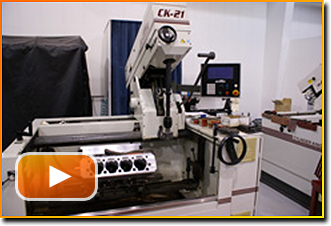 4 -5 full axis CNC machines and a host of other smaller machines, lathes, and measurement tools are precise down to measurements that the human eye will never see and can be utilized for one off tooling or volume production. 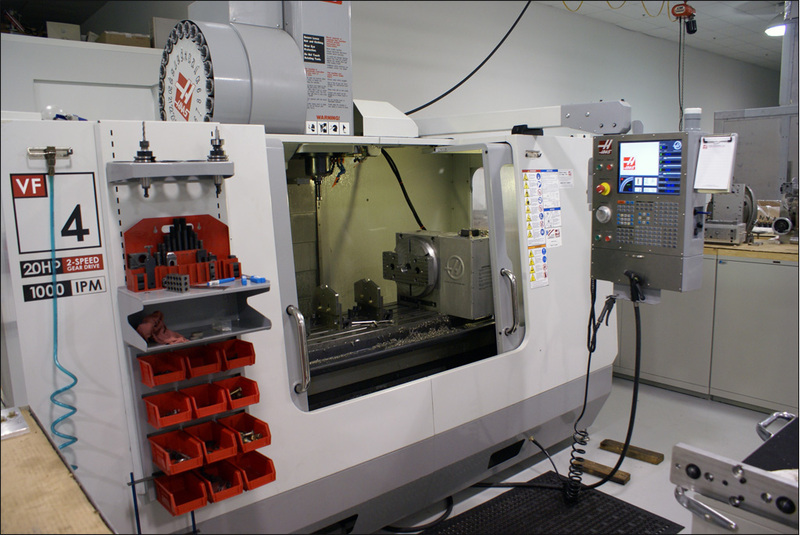 Precision 5 axis CNC machines are capable of ultra fine accuracy, and guarantee that your performance part or custom mount is machined to perform. 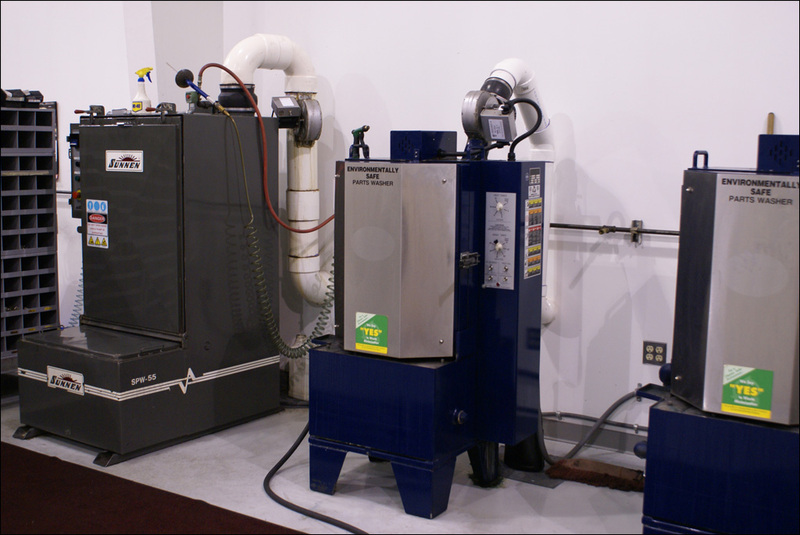 These machines are liquid cooled to reduce fatigue caused by excessive heating of sensitive materials during the machining process. 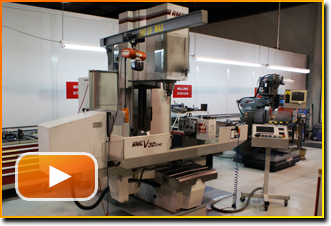 Automatic tool selection and machining ensures quality and precise locations, sizes, and thickness of the material being machined. After all machining and preparation is complete, all parts and HEMI engine blocks return to the washers. A 200 degree engine block washer opens pores in cylinders to make sure not even the smallest of particles remain that can stop up oil passages in our engines. Cylinder cleanliness is important for final assembly and prolonged intense operation. Final white towel cleaning by hand ensures proper cylinder sealing and ensures no dirt or grime will cause piston rings or mechanical parts to fail. And we’re back to inspection and assembly. 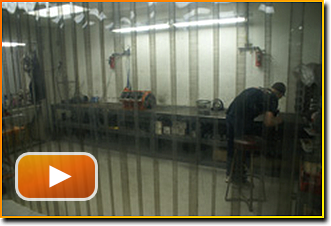 After a final check on tolerances your HEMI is assembled by an expert engine builder. Torque is applied every bolt. Piston to valve clearance is double checked. Cam timing and bearing clearances are verified. Finally front dress, accessories, and belt tension and pulley alignment is adjusted. 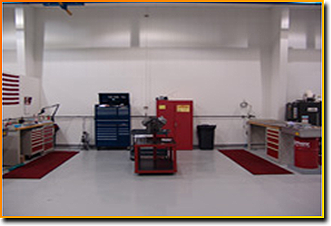 You can ensure our NASCAR proven power, technology and research and development will all be included in YOUR aftermarket package. 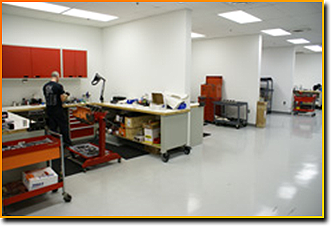 All processes take place in our climate controlled and ultra clean shop to ensure accuracy and detail. 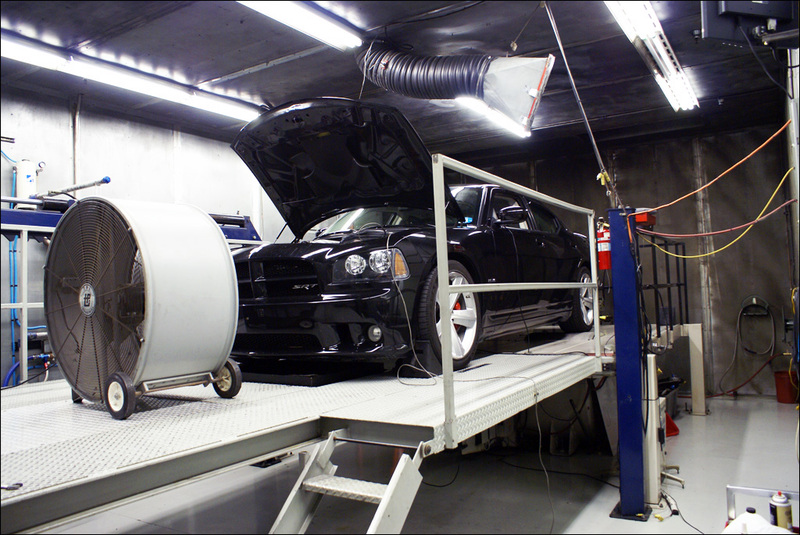 At the end of the install, your build is dyno tuned on a SuperFlow certified chassis dyno. 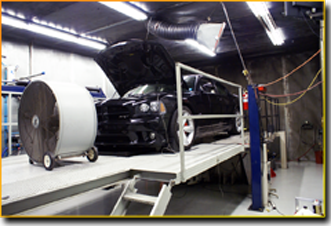 Not your standard roll away dyno, this eddy current precision dyno has separate climate controls and fire suppressant systems. When we tune your HEMI and your ride leaves our shop, you won’t just happy - you’ll be impressed. 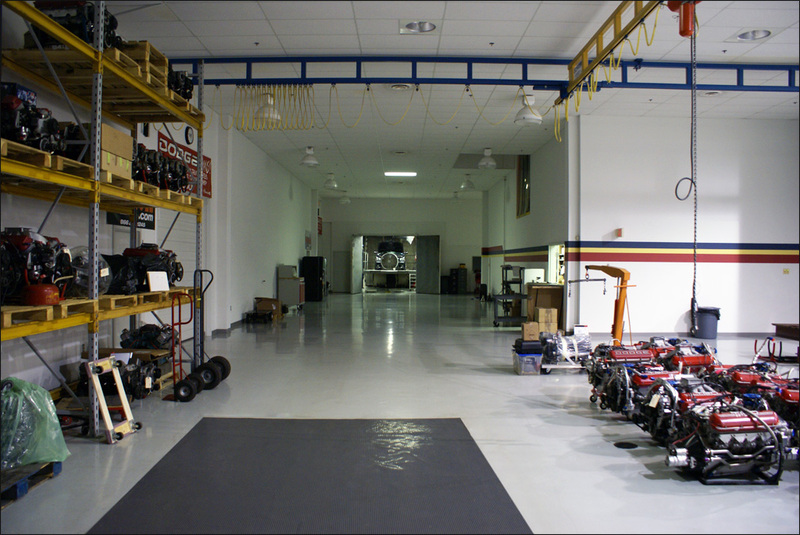 Arrington Performance is determined to make loyal customers not just one time quick dollars. That is why we know our products and know customers names, stories and faces. Not only are we committed to extreme horsepower builds for customers, we are also enthusiasts! Contact Customer Service for immediate information on customer-related questions.